“Deliver awesome customer support whatever it takes”. If your memory serves you right, you’ve read that sentence in one of our previous posts. Indeed, by early May 2017, Remy (Weglot’s co-founder and CTO), explained in a detailed article how crucial the customer experience is. At this time, the workload in terms of customer support and communication was very high. 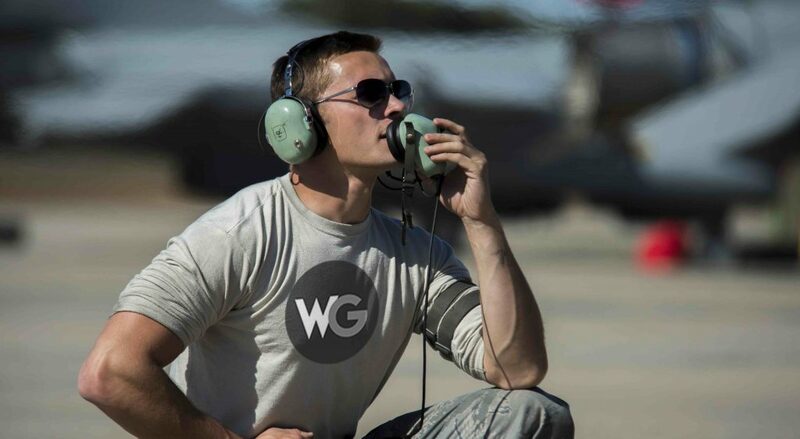 Weglot needed to have a dedicated team to handle customer support. That’s why recently graduated in political science and digital business, I left HighFive -an edutech startup I’ve co-created- to join the team as Head of Customer Success. From that moment, making sure Weglot customers get the best experience became my mission statement and a real challenge! 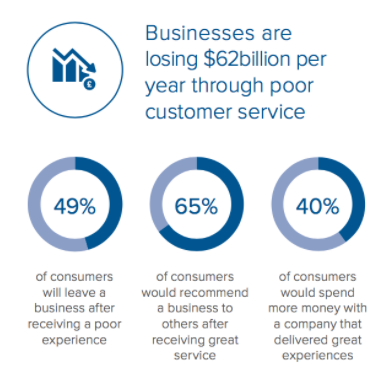 Get focused on customer experience! Provide an awesome customer service is a full-fledged marketing leverage. Those interactions between our clients and us build valuable confidence. You can’t ignore the customer service value. It’s an essential building-block of any sustainable acquisition strategy or retention plan. Paying attention to the customer experience makes the difference. That’s why, since the beginning of Weglot, customer satisfaction has always been priority #1. Rémy and Augustin got their hands really dirty doing this job. They personally handled users communication, via email or chat, even during evenings and weekends. Fun fact by the way, in the very first weeks of Weglot, they even kept the live chat online during the evenings while watching series. So they actually stopped watching Game Of Thrones to answer you…! 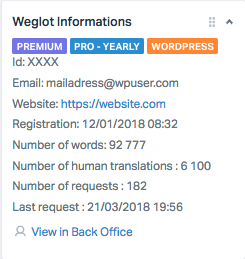 Despite the help of Antoine (a great intern who joined the team for 6 months), dealing with more than 500 emails a week and non-stop live chat started to become Weglot’s full-time job. So it meant no time for product improvements and developments, which was not sustainable in the long run. Initially, the team used Gmail and TawkTo (a live chat solution) to answer clients requests. The combination was functional to give “just-in-time” answers. However, there was no real assignation mechanism between Rémy, Augustin and Antoine. They had no step backs or strategic view to let them improve their operations. Sometimes they realized they were even answering the same email at the same time! As soon as I arrived, I decided to switch from Gmail to a real ticketing system, HelpScout. Actually, we did our benchmark and tested out a bunch of solutions. It turned out that HelpScout fitted our needs. At this time, everything became a lot easier. I checked every case in the morning and, depending on team member skills, I assigned them. and a mix of plenty remaining cases for me. This method is still applied today. Every email is assigned and get an updated status (active, pending, closed). Plus, we don’t manage them as single separated emails but as a whole conversation (merging several emails) with a unique ID. From this basis, we had only one goal in mind: making sure every customer get more than an answer, a relevant and working solution the same day of the question (non-working day excepted). Great customer success foundation was set, however, the second challenge was waiting for us: making the support scalable. With 1,500 customers (and thousands of free users) and a very dynamic growth rate, we had to define a reliable strategy to hold back the cost without undermining the customer satisfaction. The first thing I did was to perform an audit of our customers needs by leveraging on HelpScout existing tools. We defined a bunch of tags to categorize support requests by nature. In few weeks, we’ve been able to get a clear picture of the total requests breakdown by topic and the recurring needs. Basically, thanks to the tagging process results, we’ve launched the building and the feeding of a strong support center (with more than 70 articles today). It answers the main and most recurring customers questions. 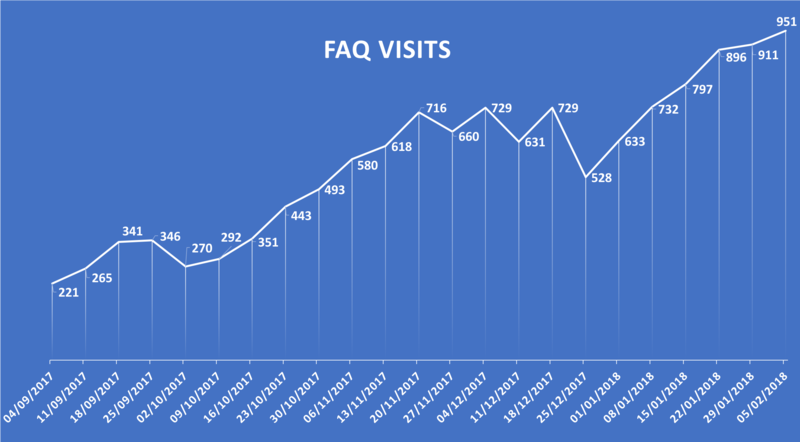 HelpScout tools such as “Failed search” or article visits tracking helped us a lot to define our FAQ editorial strategy. Quickly, we’ve been able to release the most needed documentation. On one hand, it brought value to our users with an easy access to helping resources without having to send emails. On the other hand, it decreased the daily conversation flow to only focus on more specific cases. With more free time to rethink our process, we did a total recast of our message answer structures. They’re now more synthetic, straight to the point and user-oriented. Making our support scalable involves simple ways to answer customers. One of the key things to answer clients requests and fix issues is about customers infos. That’s why, we’ve asked our dev team to connect HelpScout to our Back-Office thanks to an in-app tool. Actually, the email address is automatically identified, then, we display major info and direct access to Weglot dedicated Back-Office page. Another part of our scalable impulse consisted to “spread the word”. Feeding marketing and product teams with our customer knowledge is fundamental. First, we’ve created a dedicated Slack channel #productfeedback, then, a weekly spreadsheet is filled by the support team members to report ideas and bugs coming from users. Every week, products, dev and support teams review the spreadsheet to feed the roadmap. From that moment, the product itself became a scalable mechanism, thanks to our stronger customer-centric approach. Also, we’ve progressively reduced the live chat usage up to an almost definitive suspension. This channel turned out to be quite unproductive. Customers need a fast, complete and not time-consuming process to get their solutions. A powerful message is more satisfying than a long live chat conversation. We kept TawkTo for very specific cases requiring live exchanges, by the way. Some of these changes (such as: live chats removal, synthetic answers or reduced time spent by team members on cases to write support articles, etc.) could have negatively impacted the customer experience, on the short-term. Surprisingly, it worked the other way around. It forced us getting twice as much focused on the client experience; shifting from short-term processes to an efficient and powerful long-term perspective ? All along our transition, and again today, we track the satisfaction to get compelling metrics. Thanks to the product-usage metrics, to the one-time satisfaction surveys and to -our favorite one- 5 stars reviews on WordPress/Shopify directories, we know we’ve chosen the right path. 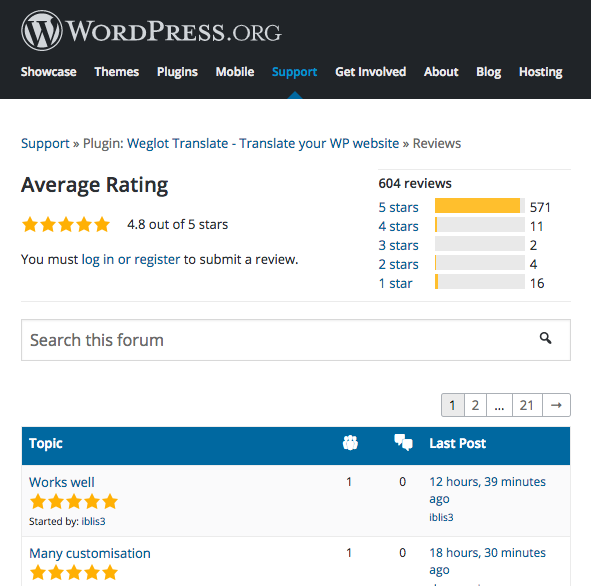 Weglot is now the most 5-star rated translations plugin on the official WordPress directory! Today, at the beginning of Spring 2018, we’ve tripled our premium customers volumes, and an extra member has joined the customer service team. Every year, we have to find new team members to contribute to the support for 4 to 6 months. Finding great profiles and monitoring their training isn’t that easy but it’s a great duty. They’re a proper key in order to “deliver awesome customer support”. Also, each day, we have more than 70 conversations and we never close our office door letting a single client without an answer. Proximity, empathy, reactivity, quality, honesty, dedication and clarity are our commitments. At a time when Weglot is deploying new integrations related to new technologies (CMS, JS platform, PHP frameworks etc. ), keeping these key values at the heart of Weglot is fundamental. 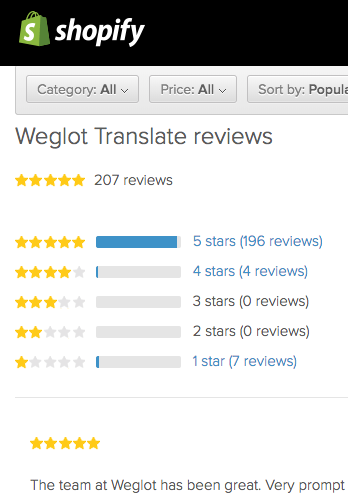 We believe Weglot is more than a simple software but a 360° multilingual solution with powerful features and a full dedicated support to help great users on any website translation topics.